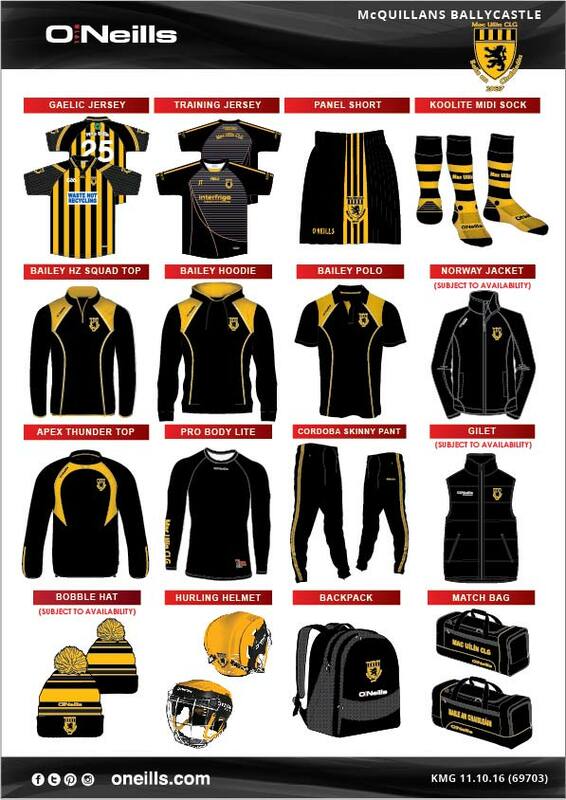 McQuillan GAC Ballycastle wear black and amber striped jerseys, black shorts and black and amber hooped socks. On the rare occasion that there is a colour clash, the change kit is a black jersey with amber trim. 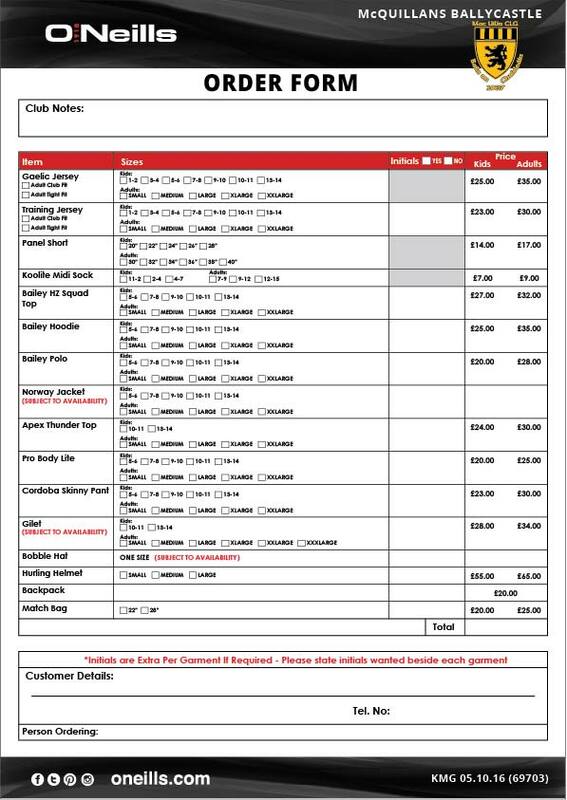 Christmas orders have now been submitted to O’Neill’s. 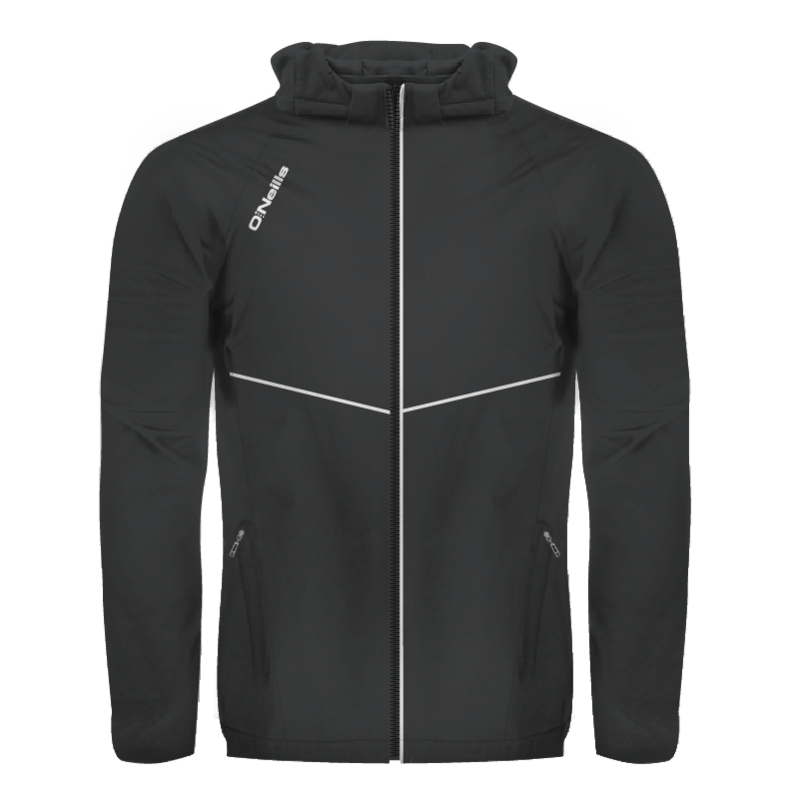 There is now a limited number of club merchandise still available to order. 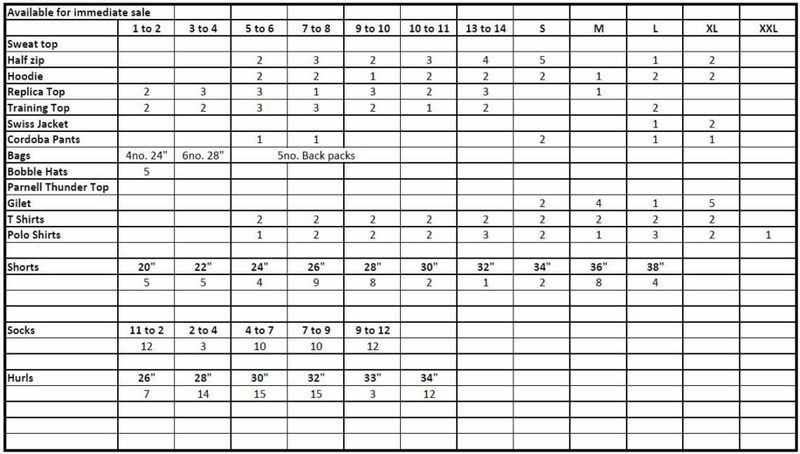 The table below indicates what is still available. (Click image to view in larger size). 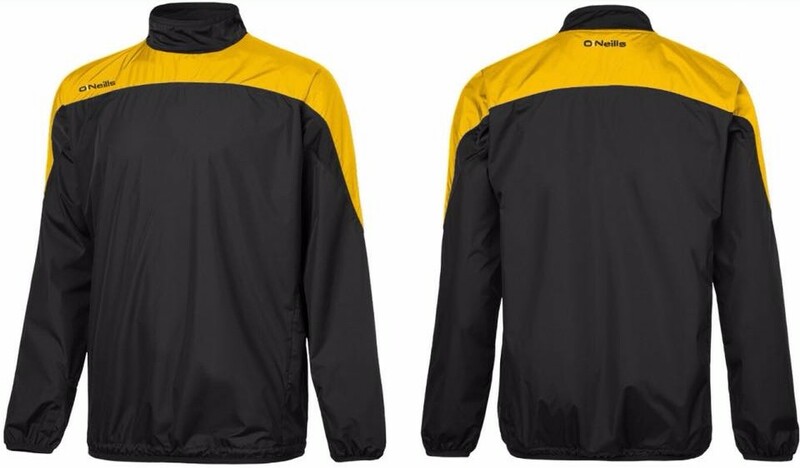 The windcheater top (with club crest) will now be the NEW Parnell design and is available to order before Christmas. Any existing Apex thunder top orders will be updated to this new design.